Marcy spreaded a news of ‘zentai’ using internet. The response was overwhelmed with much positive response from all over the world. 2003-‘Tamori club’ (タモリ倶楽) (TV Asahi) featured zentai. A few zentai players appeared in the program and talked about their activities. They gave zentai suits to the main personality ‘Tamori’. Zentai Art is an unique Singapore art form. Zentai has started in Japan. 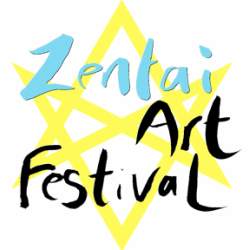 But with the very first zentai art festival, zentai art will develop in Singapore as an unique Singapore art form. This is something to export out to other country and not something that SIngapore imports like many other things. This art from will help Singapore to generate the creativity to make an unique identity in the community.